SAVE 10% on Everything in the Tasting Room as we restock for the season. We’ve missed you! 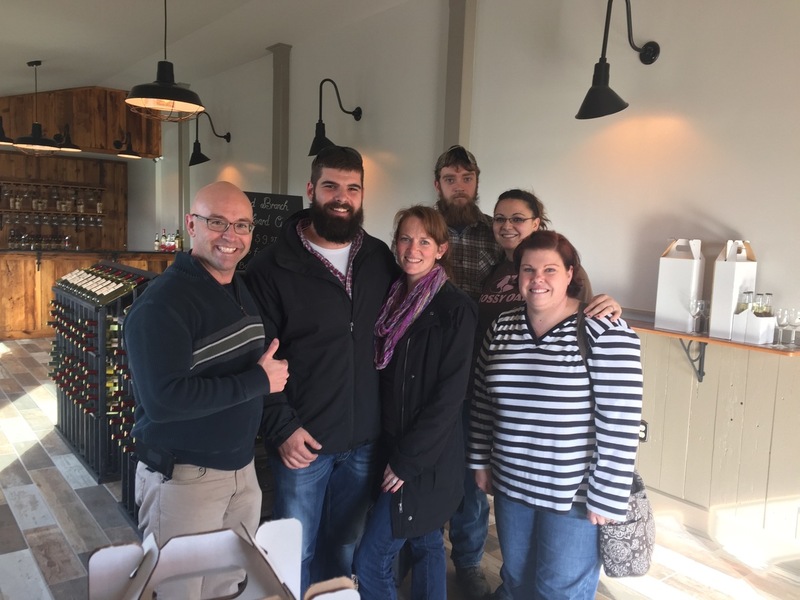 Being a seasonal winery makes for some long, lonely times between seeing our favorite people – YOU! 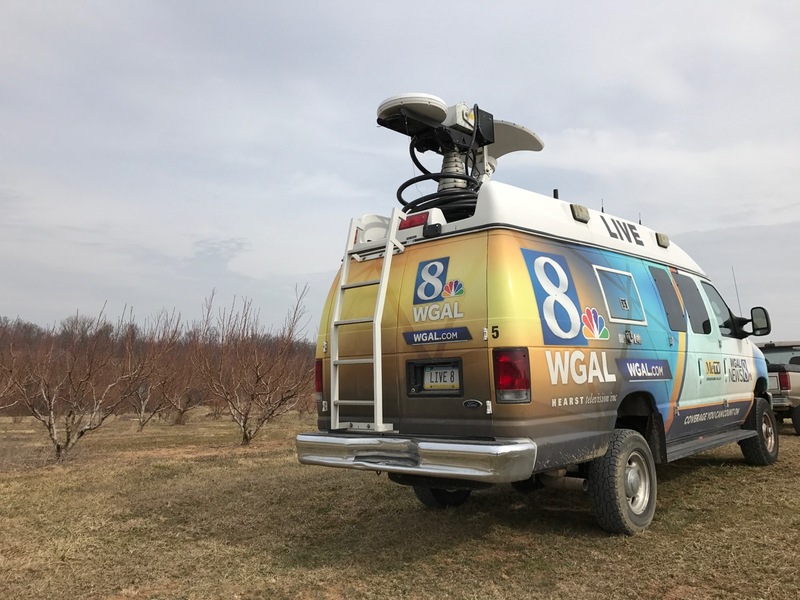 So, as we were restocking wine on the winery shelves with our new Apple-Riesling Blended Wine and Cherry Infusion, a Brandy-Fortified Wine, we thought, why not make it a party?! This Saturday, May 27 from 12PM-5PM is the ONLY time we’ll be open for tastings and wine sales in May, then we reopen for the season June 17, 2017. So what have we been doing over the winter? Work never stops at the farm. Our fruit trees have been spared from the frosty weather, including that scary late frost. We are very thankful as our peaches were in full bloom during the coldest days. 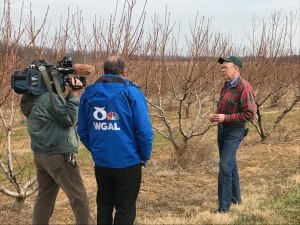 WGAL8 came out to interview Dad before and after the coldest days – Big News on the farm! Why cold is bad. Any temps below 30 degrees F can essentially make the natural moisture in the blooms turn to ice and destroy the delicate cell structures in the blossom. 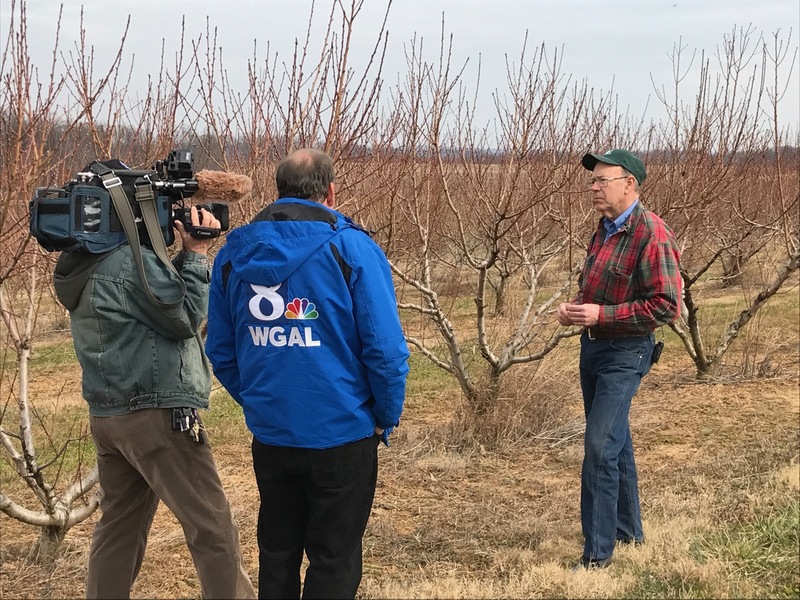 Once the blossoms freeze – they won’t produce fruit for the entire season. Pruning delayed. In fact, we were ahead on pruning the old wood out of the trees, but the cold temps require that you don’t prune, because pruning stimulates growth. We didn’t want to stimulate growth then have the new, soft tissues be exposed to cold. Swing in and restock – join the fun and enjoy the Summer Flavors a little early.